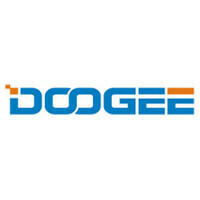 The two newest smartphone models from Doogee have been introduced by the company. The Doogee X6 and Doogee X6 Pro both carry a 5.5-inch display, and are each powered by a 3000mAh battery. The X6 supports 2G and 3G connectivity, and is stuffed with 1GB of RAM and 8GB of native storage inside. The X6 Pro features 2G, 3G and 4G connectivity, has 2GB of RAM inside, and 16GB of native storage. Both models also have a unique set of buttons that are hidden in the frame of the device. Not only does this make the phone look better, it also helps the buttons last longer when compared to traditional convex buttons. Those are all of the specs provided by Doogee at the moment for the X6 and X6 Pro. The manufacturer did release a couple of low-resolution renders of the two models, which apparently will have the same design. Doogee also said that it would reveal more information about the pair in the future. thanks for food article, i know this phone is good but i wait for Bluboo Maya. this is better, Maya is come with Android 6.0, Sony camera sensor+ quick focus, 13MP+5MP cameras, Customized Face beauty APP, 2GB+16GB, 5.5” HD IPS TFT display, Back cover design, Metal frame 4.35V battery core, 3000mAh battery, Dual SIM Dual Standby. friends i think this is good phone and i watch regularly bluboo.com.cn/ for buy this phone.